Official Warcraft 1.24d Patch Install Guide. 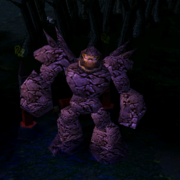 Blizzard has released Warcraft 3 TFT 1.24d Patch as a security patch and the players are upgrading to it so they can play without any kind of cheats & hacks. Majority of the Warcraft 3 players prefer to install patches via offline upgrade file from Blizzard Official site. Check it's download and guide here. Get this file if you upgrading from an old version. This works in most cases. Get this patch file if you are upgrading from v1.24c to v1.24d. 2. After downloading the required file from the links above, run it. 3. Your Warcraft version will be upgraded to Patch 1.24d. If you see any Registery Error Loading Key "Warcraft/InstallPath" error. Kindly refer to this page and follow the instructions. If you still can not go through the installation phase, just post a comment here. We will try to help you out! if im upgrading from 1.20e i have to use standalone full patch right? A: This happens when your Warcraft 3 Patch doesn't match with host's patch. A: Use the standalone patch file. Is this patch also block maphack/trade/mutehack all those function in GarenaHack(cqccyh) ? ERROR: unable to apply patch to file 'C:\Programmes\Warcraft III\worldedit.exe'? I currently have 1.24c and im using the 1.24c-1.24d offline patch. happens to me aswell... and host was also 1.24d and me too! what can i do???? any 1 help??? Does this really detects "map hackers" in Garena? though this site also releasing such "map hacking" tools?? I am getting the checksum error as well, and did exactly what you all said: Downloaded FULL patch 1.24d, when I run it, I get the checksum error. i'll download na switcher but i dont know how to do it.. Please help me. can i install from 1.24 to 1.24d directly ? without goin through b c ? I have a problem:registry error loading key Warcraft 3\InstallPath,the system cannot find the file specified. patch 1.24d are compatible with patch 1.24b? Use version switcher and patch 1.24d using it ..
why you need to do it...... feck u! will this patch work on a "copied warcraft" game? or will it work only if you install the game from scratch? I know one thing ..: My Warcraft tah at 1:22 Version>> If I download the installer and it 1.24D. He presiso Update Patch others also? Such as 1.24A>> 1.24B>> 1.24C? I have to go in upgrading from a one? Or if I upgrade of 1.22 to 1.24d jáh updates the others behind? i have downloaded the required updates but when i run them they are not working. what is the matter with it, should i have to download both of them? hi it says the patch is error!p.s help me! It says it cannot find "Abilities\Skills\Nightelf\Shadowstrike\shadowstrike.mdx" ._. Im trying to patch from 1.24b to 1.24d with the standalone patch, and that error comes up. A:use the switcher not the patchers so that it is surely upgraded. I install W3 TFT with the patch for 1.24c to 1.24d and when I try to connect to the server of my network Battle.net give me the following error "Unable to validate game version. Please reconnect to Battle.net, or apply the current game patch manually". And here is my question: What did I need to modify in my pvpgn server(versioncheck.conf) to play with this version??? hi it says frozene throne was unable to find war.exe..what should i do? error and error and error .. but icant download switcher damn !!! Hi , My regestiry dosen't have blizzard Entertainment in HKEY_LOCAL_MACHINE ...! I am having the same problem. I can connect to Garena and join a certain game, but when the game starts it disconnects. Regardless, if I am the host or not. Tried several things to solve the issue, like patched to 1.24d & 1.24e, but still it did not solve the problem. Hoping someone can share their knowledge on how to fix this problem. Thank you! can i patch from 1.24b to d? Q>i have a 1.20 version is it possible to switch to 1.24? can i install it even if my warcraft 3 is not original? and how to make sure if is ready to use? hi!guys im new here.i just want to solve my prob. i have a war3.exe version 1.20e, i have patch it to 1.24b but in my other pc, it runs ok. but in some of my pc,it has error. "Frozen Throne was unable to find War3.exe"
but i use only same frozen throne version.pls help e thanx. i would like to ask what if your frozen throne.exe has been removed by your anti virus and you can't retrieve it anymore? is there any other option? and your dota game is just a copy paste? what should i click to download 1.24d? Isn't this for people that don't have a CD or CD Key? I have my CD and Key but I keep getting this message every once in a while so I reinstall both of the CDs. So do I just download this patch every time I get this message? where do we get the stand alone patch file? i cant use 1.24 ...if use tahe versi...i cannot play dota...but..if i change back to 1.21...i can play...ho can help me?have something i not put any file in my warcraft folder? This sight is always complete with everything about DOTA! 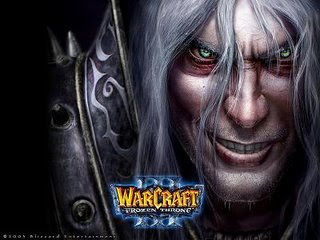 i want to instal warcraft 1.24d plz how to do?